This device allows bikers to receive GPS voice instructions, communicate with the passenger on the back seat, to conduct calls on their mobile phone and listen to the embedded FM radio or their MP3 player. Last but not least, the device offers biker-to-biker intercom communication. 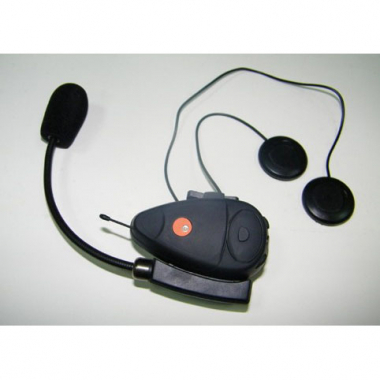 This headset works with any Bluetooth equipped mobile phone. Designed and Engineered for Heavy-Duty Performance.